You must be ready for winter by now. If your not, or just looking to freshen up the look, you may want to visit the Burton website. 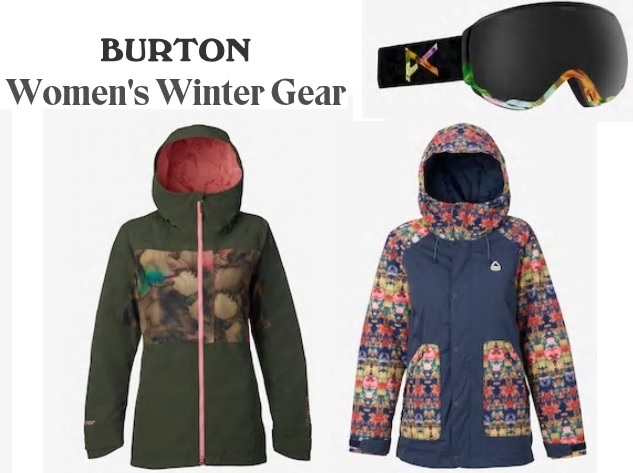 Learn more about Burton winter gear for women. You will find that Burton has jackets, gloves, base layer, snow pants, fleece, hoodies, boots, and more. Everything for your outdoor winter adventure. You may also enjoy the following fashion blog posts about winter fashion. Learn more about the Burton brand at the Burton website. You can also learn more about women's Burton brand fashion here on Apparel Search.